Equestrian Horse and Jockey Trophies. This stunning award measures 200mm high. 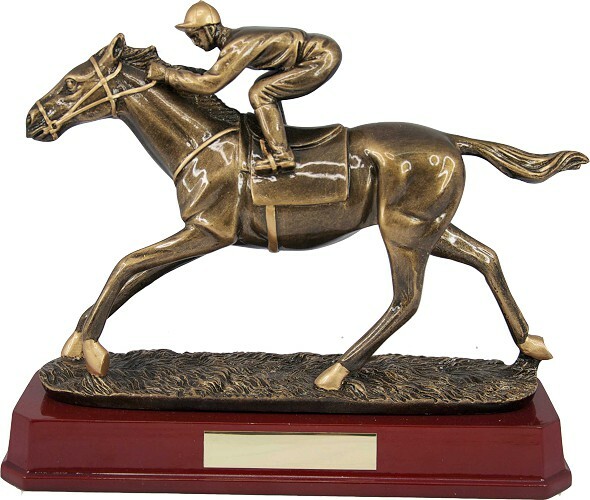 Electroplated heavy trophy with fine detail mounted onto a heavy wooden type base.